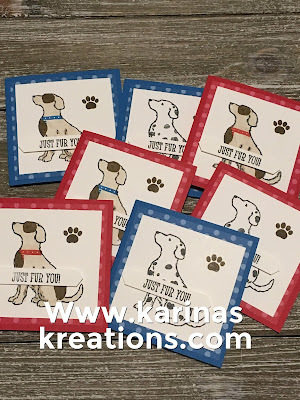 Karina's Kreations: Stampin'Up Happy Tails thank you card! Stampin'Up Happy Tails thank you card! 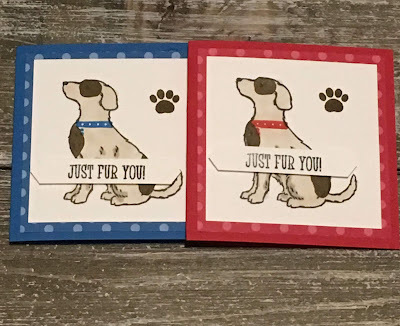 The Happy Tails stamp set from Stampin'Up is so cute and fun to play with. I love that the dog image has a coordinating punch. I didn't use it on these card but I could have. I used my stamp-a-ratus to line up the spots for my dogs. 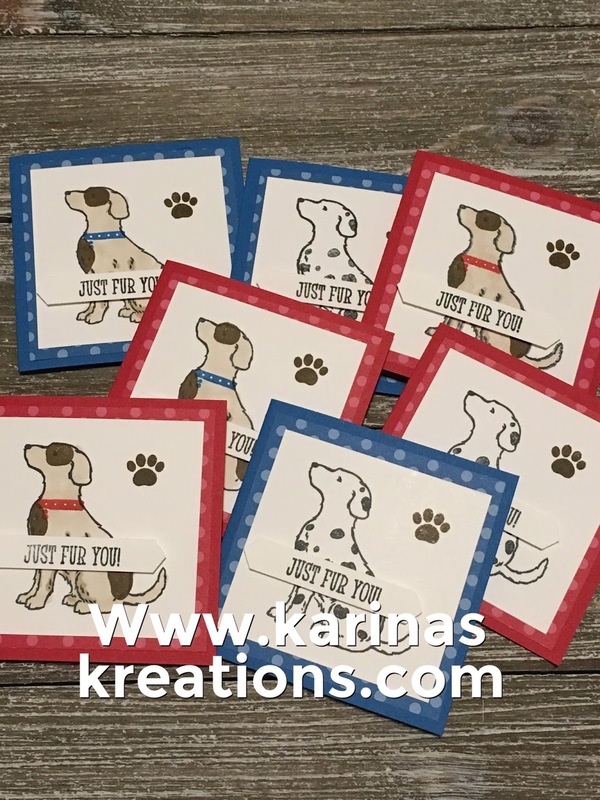 The dogs were stamped with Black Memento ink on Whisper White card stock and colored in with Stampin' Blends.